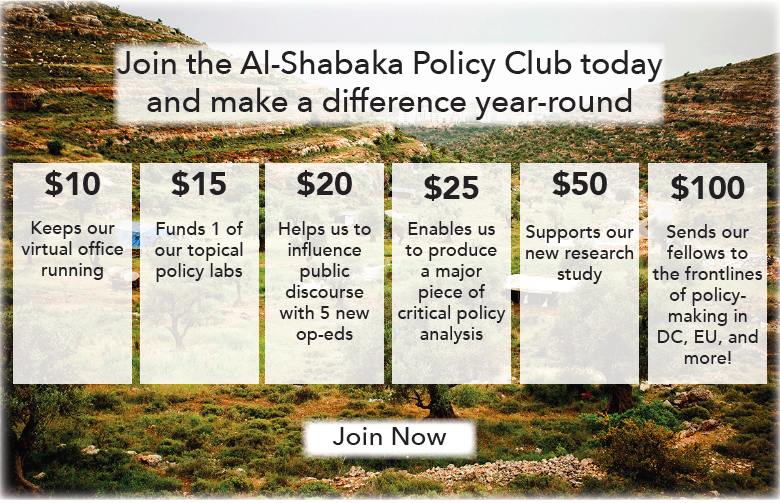 For instance, the establishment of a dual political system in the Gaza Strip, meaning partisan sharing in public sector institutions, would pose a major risk. In such a system, figures from Hamas and Fatah would ostensibly share control of ministries and other government offices, but in reality would command separate sections within PA institutions. This could lead to a situation in which the deep differences between the parties could spark tension and violence worse than what occurred in 2007. Such a situation would benefit Israel, which uses the Fatah-Hamas split to claim that the Palestinians are unequipped to run a state. This allows Israel to more easily continue its project of settlement building and apartheid. Yet even if Fatah and Hamas work together peacefully in Gaza, the current steps being taken toward reconciliation could lead to the establishment of a dubious Palestinian “state:” an entity with its central government based in Gaza, along with carved up West Bank cantons. This solution may suit Israel as well as the United States, which currently envisions resolving the Palestinian issue in the context of a regional settlement between Arab states and Israel, but it would shatter the Palestinians’ hopes for a state based on the 1967 borders, or one state with equal rights for all. Fatah and Hamas leaders must focus on national unity and consensus regarding Palestinian national goals. Their shared understanding of the current stage of the Palestinian struggle and what is needed to further it will enable the Palestinians to unite to counter Israel and its strategy of imposing increased fragmentation on the West Bank. A sticking point between the parties is the issue of weapons and Hamas’s military wing. Before 1982, the Palestinians had a high military council, headed by Yasser Arafat, and the Palestine Liberation Organization (PLO) steered the council’s decisions. In a 2011 Fatah-Hamas reconciliation agreement, which failed, the formation of such a military council in the form of a high security committee was mentioned, and this should be revived. With a united political program and leadership guiding the council, weapons would not be in the hands of discrete factions that could then fight each other, but would be for the defense of the Palestinian people as a whole as a means of deterring Israeli aggression. Hamas should draw on the example of the Ennahda movement in Tunisia and agree to cede power, though with the condition that they will have a seat at the political table. 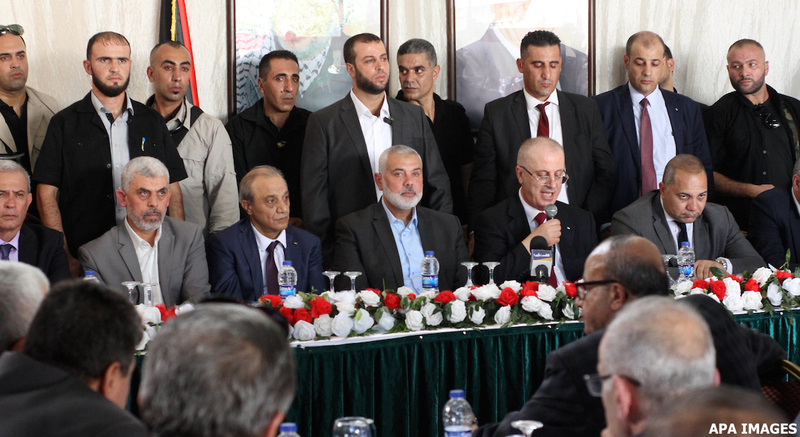 This means that the PA must allow Hamas’s participation in the PLO, its Executive Committee, the Palestinian National Council, and the Palestinian Legislative Council when it is reconvened. Hamas should exercise their right to participate in elections even if they pledge not to form a new government in the event that they win. Al-Shabaka Policy Advisor Khalil Shaheen is a Palestinian Journalist, media expert, researcher, and well-known political and media analyst. He is currently the director of research and policies and board member at Masarat - The Palestine Center for Policy Research and Strategic studies in Ramallah. 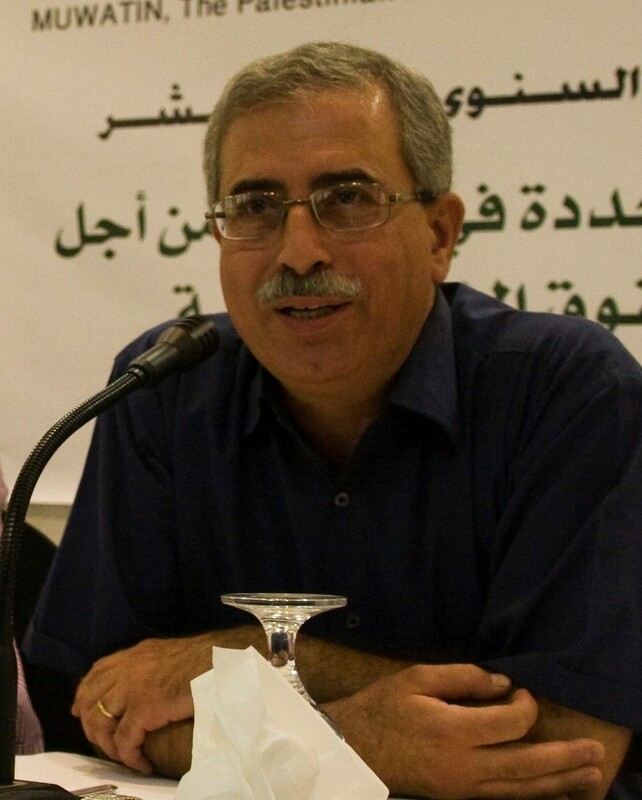 Since 1981, he has served as a journalist, editor and researcher at several institutions, newspapers and magazines in Lebanon, Syria, Cyprus, Jordan and Palestine, since 1981. His articles and policy studies are widely published.